Jordan: Welcome back to the Atlas Investor Podcast with Tiho Brkan. Thank you so much for joining us today. Tiho, before we get into episode three, we’ve had two episodes so far, and you’ve covered a lot. I’d like to ask you, what would you like the listeners to take away from the first two podcasts? Tiho Brkan: Thank you for having me on the third episode once again, Jordan. I’ve been enjoying this podcast, and I look forward to many more. Really great fun. To answer your question, episode one we covered US stocks, and episode number two, we covered foreign stocks, in particular, emerging markets. The theme that we discussed and pushed forward is, and what is important to take away, is that while still up trending with very strong momentum, US stocks are overpriced and most likely — and eventually — will have some kind of a setback. By some standards, the US stock market is priced at 95th percentile, relative to its150-year history. Whenever we had valuations this high, eventually we’ve had some kind of a disastrous crash, and/or a sideways lost decade of price disappointments. US stock market is fully priced, maybe even overpriced. That doesn’t mean it cannot continue to trend higher for a while yet. Meanwhile, the main theme that we’ve been pushing forward from the bullish perspective, is that emerging markets are quite underpriced, especially from a year ago, and most likely have a lot of room to run on the upside. Foreign markets, over the United States markets, is the main theme, Jordan. Jordan: Tiho, as far as your travels, you’ve been traveling to some very interesting countries. I’d like to get your general feel about Eastern Europe. Tiho Brkan: Yeah, I’ve been spending quite a lot of time here since I arrived from Asia at the beginning of the northern hemisphere summer. The reason that I’m here is because of the ongoing crisis that we’ve had since 2011, mainly with the Eurozone Debt Crisis, which put the so-called PIIGS countries into major setback and pushed asset prices on a downward spiral. This includes Portugal, Spain, Italy, Greece, and even to some degree Ireland, which is now recovering rather sharply. Also, I continue to travel in this region too, because I’m looking at various businesses, and economic performance, as well as tax reforms, to see how some of the local stock markets might perform. It’s definitely a great way to spend the summer, when you throw in the ability to spend some time at the Ionian Sea, and the Adriatic Sea, and the Mediterranean Sea, Jordan. Not a bad way to do some work, while we get some tan. Jordan: Well, sounds good Tiho. Now, with that said, let’s get into episode three. Okay, Tiho, so you are in Croatia today. Can you tell us exactly where you are, what city you’re in, and maybe just a little bit of background information about Croatia? Tiho Brkan: Yeah. First of all, for my regular readers, and now listeners as well, I’m actually Croatian born, so I know the country quite well. The interesting thing about Croatia is that it has, in my opinion anyway, two sections of the country. I’ve been visiting both recently, Jordan. Zagreb is the capital, and that’s the north part, and then you have Dalmatia, which is where obviously some of our Western listeners might know it from the Dalmatian dog. That’s the southern part, and that’s the beautiful coastline of Croatia. There, I visited the Island of Hvar, which is extremely popular with Western tourists, as well as the absolutely gorgeous city of Dubrovnik, which is the prime filming of Game of Thrones, King’s Landing. In between, I’ve also visited quite a few towns, and so forth. This is one of the more beautiful countries in the world. I’m not just saying this because I was born here, Jordan, but also because it has a lot of UNESCO protected sites. There’s something for everybody. Jordan: Yeah, it sounds very interesting on the tourism front. Let’s talk about the country for investors. What’s interesting for the country to investors, or as far as any investment opportunities? Tiho Brkan: Sure. So a little bit of background first. Croatia has only a little bit more than four million people, and the GDP of 52 billion US dollars. The GDP per capita is 12 and a half thousand US thousand dollars. A little bit better than the neighboring Serbia and Montenegro, which I visited in episode one and episode two. Once again, with these smaller countries, especially Eastern European ones, there is no stock market for investment, so that’s quite interesting. Investors could play Croatia by using the currency, or the real estate market, I guess. The currency is called the Croatian Kuna, and it kind of trades similar to the Euro, Jordan. So it’s kind of pegged. When the euro moves, the Kuna would move a little bit more. It has a little more volatility or leverage, so to speak. That’s an interesting way to play Croatia, but then again, it’s very similar to playing the whole Eurozone. Real estate is kind of underpriced, in my opinion, relative to the potential of the country, but then again, certain parts of Dalmatian coast — the whole Adriatic coastline — some of the villas there, and some of the land right on the waterfront is not underpriced at all. It’s extremely high. One of the things that Croatia has managed to achieve, is I think a remarkable tourist growth since the former Yugoslav War in the mid-’90s. Put this into perspective. Today, Croatia has 15 to 16 million tourists arriving every season. Back in 1997, which was 20 years ago, that same tourist arrival was about 2 million. I think by ’95, it was 1.5 million. The growth has been tenfold in just a little bit over 20 years, Jordan. Really, this country is a prime tourist destination. Jordan: Tiho, I just want to follow up about that, as far as the tourists that have been arriving. Are we seeing more Western tourists, more Chinese tourists, compared to 20 years ago? I guess I’m getting the kind of the flow when a place doesn’t have much tourism, and maybe it’s just people in the neighboring countries, and then, later on, you see more tourists from outside places. Can you give us some info on how that’s developed over the past 20 years? Tiho Brkan: Of course. That’s a wonderful question, actually. Croatia is getting higher quality tourists — than it has been over the last decade or two. Now, some of the tourists are not as high quality as for example, Spain, France, or Italy is concerned — but nonetheless, it continues to improve. A lot of Westerners and Europeans are coming, because Croatia is now part of the European Union, and part of the Schengen area, so while previously we had most likely Austrians, Slovenians, which border Croatia, as well as some Germans come in, and neighboring Italians, now we’re getting actually a lot of Koreans. The capital city of Zagreb, as well as the Dalmatia cities of Split, which is the port for all the island access — and Croatian archipelago has something like over 1,000 island you can visit, which is incredible — together with Dubrovnik, which is the pearl of the Adriatic Sea, as they say… all are full of Korean tourists. I think several years ago, there was a reality TV show done, where Koreans lived in Croatia. That went basically viral, and it became extremely popular in Seoul, and Busan, and throughout the whole South Korea. Right now, basically every corner that I turn, I feel like I actually haven’t left Asia when I come back home to Croatia. The quality of tourism is picking up. Not just from Europe, also as you can see, from Asia too. Jordan: Okay, thank you for that information. Now, let’s move from tourism back to real estate. I want to know if a real estate investor could benefit from opportunities in Croatia? Tiho Brkan: Definitely. I think the City of Zagreb is one of the more beautiful cities in this region. Probably not as beautiful as some other Central European cities, but also quite small by some standards, but still nonetheless, interesting opportunities there. Obviously, with Eastern European and Central Europe, you have cities like Prague, Budapest, Bratislava, Vienna, and also Zagreb. These are your Central European cities, as opposed to Western European cities. They are all becoming quite popular in tourism. Zagreb is one of them, too. Once you jump on the Airbnb website, you can see an incredible amount of apartments at very competitive prices, which are renovated, and ready to be rented. Tourism is thriving here. I’m not sure if we are too late to the party, and there’s a bit of oversupply of that, but definitely, it’s been a trend for the last few years. Also, the City of Zagreb is decently well priced, relative to some of the ones we just discussed, like Vienna, and Prague, which tend to be on the higher side. Still, those that do a correct investment, let’s say in the city centers, and renovate apartments at very cheap levels price wise — with price entry — can still earn a very high yield, somewhere around 6, 7, 8%. Using Airbnb, this can be even higher, Jordan. You know, I think definitely an interesting play. Jordan: So Tiho, what about business opportunities? Do you see anything there in Croatia right now? Tiho Brkan: Well, I still think that the majority of the businesses cater towards tourism. Regardless of what you do, you’re still catering to a tourist, which is a marginal buyer, as opposed to a local. A lot of the time, whichever business opportunity you do come up with, whether it’s a small business or something on the higher end, yeah, it’s more likely to be tourism based. I’m actually doing quite a few things in Croatia, and looking at quite a few more opportunities, which I’m kind of keeping to myself and my clients for the time being. Nonetheless, when I look at the country, it’s mainly oriented towards a wonderful season, which I think starts in May and ends in October, and predominantly has a large number of visitors relative to other neighboring countries when it comes to tourism. Also, unlike Serbia, which has very low wages and ability to, I guess, employ some tech-savvy talent, Croatian wage is about three to four times higher. That opportunity is not really similar. Also, from the corporate and individual tax point of view, Croatia is kind of like a bit of a mixed picture here. I think corporate tax rates are pretty attractive. They’re not the most attractive in the world, but they’re much, much lower than let’s say some Western European countries, like France, and even the US. As we talk about taxes, I think right now, Donald Trump is trying to reform some of the taxes there in the United States, but Croatia’s corporate tax rate is at 18%. If your turnover is less than half a million US dollars, I think it’s around 12% for small businesses, which is very attractive indeed. However, individual taxes are … the highest marginal rate is 47%. The VAT, or the sales tax, is 25%. It’s kind of a bit of a mixed picture there, from Croatia. Also, employing people in Croatia, mainly thanks to the European Union, and the way that Europe has been structured for many, many years, social security and payroll taxes are very high. From that standpoint, I don’t see a lot of business opportunities, unless they really predominantly link towards tourism, where Croatia is benefiting at the moment, Jordan. Jordan: Okay, Tiho. You’ve covered quite a bit about Croatia. Is there anything you’d like to add, as we close this segment, and also, can you please give a final verdict on the country? Tiho Brkan: Yeah. I mean, I would say Croatia has been improving decently well since joining the European Union, when it comes to predominant industry of tourism. I would say final verdict would be tourism, tourism, tourism. It’s really booming here, and unless you’re doing something with tourism in the right location, and with the right mindset, and maybe local connections, predominantly — it’s going to be quite hard for outsiders unless, for example, it’s a big company. Real estate investments are also very interesting, but I think a lot of Croatian locals have already realized this. As you drive throughout the whole country, whether it’s the mountainous regions, whether it’s the main cities, or whether it’s the coastline, there are private rooms and apartments for hire, just about everywhere. I think there is quite an oversupply from that angle, too. A lot of opportunities, but also quite a lot of people realize that it’s been booming for some years now. So not an easy one for investors outside of Croatia. Jordan: Tiho, in this week’s global macro segment, we’ll be talking about global currencies, with a focus on the US dollar. Tiho, before we get into all these currency markets and exchange rates, can you tell us why monitoring currencies is very important for global investors? Tiho Brkan: Of course. Well, currencies move relative to each other. In the world, we have what are known as hard currencies and soft currencies. For example, if you were living in Columbia, and you’re saving your money in Columbian pesos, chances are you’re not going to get very wealthy, even if interest rates are very high at your bank account. Soft currencies historically have and continue to be weak, relative to hard currencies. Being denominated in the right currency, and saving your money in the right currency, and also making investments in the right currency, is a critical thing. Now, the question would arise, what a right currency is? In my opinion, a right currency is the one that’s up trending, and in a long-term trend towards the appreciation. If somebody was smart enough to buy the US dollar in the early ’80s, and sell it in the mid-’80s, and own assets that are US denominated, or US based, for half a decade, they benefited not only from an asset appreciation, most likely, but also from currency appreciation. Currency is an extremely important element for global investors. Just because you’ve made a million Vietnamese dong, doesn’t mean you’re worth a million US dollars, Jordan. Jordan: Of course. Now, Tiho, can you give us an example of how an asset investment can go right, yet the currency denomination can go wrong? Tiho Brkan: Of course. Well, you know I’ve grown up in Australia, and I’m an Australian, so I’ve lived there. Australians are well known to be very much into the property. Very much obsessed, I should say, with the property. Last year, I was actually having a conversation with a close friend, who was investing in Melbourne. Melbourne is an interesting city to discuss because according to the Economist Magazine, it’s been voted the most livable city in the world for the seventh year in a row. Obviously, Melbourne is a very desired city to live in, and property prices have been increasing there. Some of the local investors have realized this, and they’ve invested several years ago into Melbourne. A friend of mine gave me an example where he purchased an apartment — or a condominium as you would say… or a unit, depending on our listeners around the world — in Melbourne for in local currencies, 450,000 Aussie dollars back in early 2013. Back then, the Australian dollar was trading against the US dollar above parity. In other words, 1.05 to 1.00 Aussie dollars to US dollars. That apartment was worth 475,000 US dollars. Fast forward some years later, and here we are in 2017. Earlier this year, I was having this conversation once again with a friend, and obviously, he told me, “Well, I’ve done very well.” He was relaying back the message to me that it wasn’t such a smart investment for me to stay out of the property market. He was much smarter on his behalf, that he bought property in Melbourne, Jordan. He was telling me his apartment is now worth 700,000 Aussie dollars. I said to him, “Since I don’t live in Australia, and I have been denominated in US dollars over the last four or five years, to me, this apartment — which was once in 2013 worth $475,000 is now worth 511,000 US dollars.” Basically, it’s gone up something like I think less than 10% over the five years, so incredibly poor investment. If we take into consideration taxes, maintenance fees, maybe property management, sure, maybe there was some rental income, but rental income is heavily taxed in Australia, and also the yields are very low, since apartment prices and property prices are very high. On top of that, we have insurance costs, and other types of things. 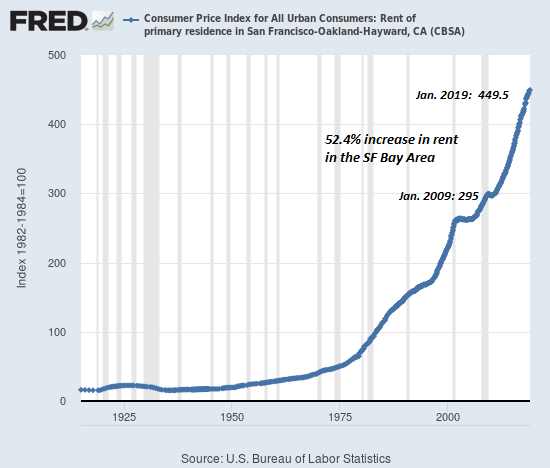 I would be surprised if actually, my friend, who bought an apartment for 450,000 Aussie dollars back in 2013, actually broke even, when we’re looking at in US dollar terms. Being denominated in the right currency, and purchasing assets where the currency, as well as the asset, will appreciate — that’s a desirable investment. Purchasing assets that might appreciate, but the currency might crash, might not be such a desirable asset, even in developed economies, such as Australia. I think this serves as a great example, Jordan, that on an international stage, it was not such a great investment as the local person would like to think. Jordan: Right, Tiho. Thank you for that example. Now, let’s circle back to today’s currency market movements. Can you tell us what the general theme has been over the last few years? 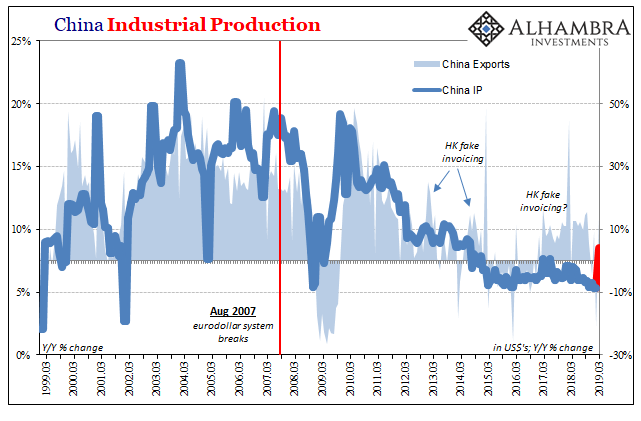 Tiho Brkan: Well, we’ve been in a US dollar bull market, and usually when the US dollar is rising, the central reserve currency of the world, the majority of the other currencies, or just about all other currencies are suffering. Therefore, foreign assets, and we’ve discussed this in episode two, such as foreign stocks, have also been underperforming, due to this rise in the US dollar. The US dollar troughed in May 2011, and has been on a steady rise into 2014, at which point it had a rapid move up, and finally seems to have — for the time being anyway — peaked in December 2016. US dollar has recently been going through a correction, and now the big question is whether or not December 2016 was the final peak of this US dollar bull market, which has been in place for almost six years? Jordan: Right. Now, let’s talk about how that bull market, the current one potentially if it’s still going on, how that compares to the previous two. Tiho Brkan: Sure. As you said, there’s been two other bull markets in the US dollar history dating back to 1970s. 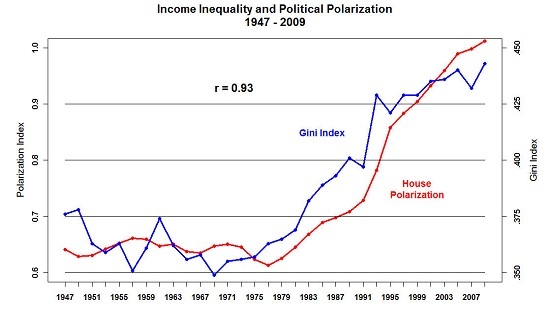 First one started in the late ’70s, and went roaring through mid-’80s, and peaked in 1985. That bull market was one of the strongest currency appreciations without our gold standard, that I think we’ve ever seen in history. It lasted for six and a half years, almost. The second bull market we’ve had was in mid-1990s, with a trough in 1995. That bull market lasted almost seven years, so six years and nine months. It peaked, I think it was in 2002. In early 2002. Afterwards, the US dollar has basically fallen for almost a decade from 2002, all the way to May 2011, with some rallies along the way. The recent trough, as I said, in May 2011, has been a switch in trend. US dollar has been quite strong as of late. Jordan: Right. Now, despite the current bull market, Tiho, it seems that the dollar has been trending downwards in the long-run. Is that true? Tiho Brkan: Well, this is true from one perspective, and it’s also not true from another perspective. Let’s tackle this through different perspectives, and characterize them. First of all, when we look at a standard US dollar index, which we’re comparing the US dollar to other notable developed markets’ currencies, we can see that the US dollar has been in a downtrend. It’s basically making systematic lower lows, and lower highs. Every long-term bull market peaks at a lower level, and we’re not sure whether this one has so far. Also, every bear market takes the US dollar to another lower level. Generally speaking, developed markets — other hard currencies — over the very long-term… a secular term, have been doing better. Currencies such as Swiss Franc, for example, is a great point where we can say that over the last five or six decades, the Swiss franc has far outperformed the US dollar, and most likely will continue to do so. On the other hand, the US dollar has been doing very, very well from the broad currencies perspective. When I say, “Broad currencies,” I’m going to include here the Euro area, Canada, Japan, Mexico, China, United Kingdom, Taiwan, so the majority of Asia too, Korea, Singapore, Hong Kong, Malaysia, Brazil, we’re moving towards Latin America now, Philippines, Australia, Indonesia, India, Israel, Saudi Arabia, and so forth. Even Chile, Columbia, and Venezuela are included here. We’re looking at a broad currency index. From this perspective, the US dollar has actually been doing very well. US dollar is one of the harder currencies in the world, and a better place to store your money relative to say, Argentinean peso, or Columbian peso, or even Indian rupee. Here, the US dollar bottomed and troughed, as far as the data goes, back to 1973, and has had a wonderful bull market into 1985. Afterwards, we had quite a strong correction in the mid to late ’80s, but then another strong bull market. Really, the United States dollar has had a predominantly strong rise from the late ’80s to early 2000s. As we already discussed in the segment before — US dollar has struggled from 2002 to 2011, and has been once again since 2011 in a bull market. To answer your question, US dollar has been quite weak over the long-term against developed markets, and their currencies. But generally speaking, looking at the broad world currencies, US dollar is a very, very strong currency, and a very smart one for investors to hold periodically their cash or savings in. Jordan: Okay, Tiho. Now, let’s cover some of the major currencies. What has been happening with the euro, the British pound, and the Japanese yen over the last few years? Tiho Brkan: Well, euro is a relatively new currency, which floated in 1999. It’s basically the Deutsche Mark together with the rest of the European continent members from Spain to Italy, and Netherlands to Belgium. Interestingly, after bottoming in the early 2000s, euro had a great bull market, peaking in July 2008, where €1 could fetch up to $1.60 American. Since that peak, the common currency of the European continent has been trending in the downward fashion, basically by making lower lows, and lower highs. The big crash came in 2010, when Greece got into trouble, as well as 2014, ’15, when there was a huge divergence of monetary policy between the ECB and the Fed. Over the last year and a half, the European currency has been basing in a kind of like a triple bottom base building formation, similar to back in the early 2000s. The question on everybody’s mind right now, is whether the euro has bottomed, and whether the US dollar has peaked out after such a strong bull market, and if we are going to see a reverse of this major trend, Jordan. Moving along towards the British pound, and the Japanese yen, I would like to look at the British pound first, which recently during Brexit, crashed through a major support dating back some 35 odd years, and traded below 1.30, and closer to 1.20 with the US dollar. £1 would fetch $1.20 American. Going back a decade before that in 2007, £1 used to get over $2 American. A remarkable crash, and a remarkable underperformance of the British pound. Coming back to the point of denominating yourself, obviously citizens of the UK, and other people who have been saving their money in pounds — always believing that the pound has been one of the stronger currencies in the world — have seen their wealth just about half, Jordan. At the same time, real estate that might have stayed flat, in cities like Liverpool, Manchester, Sheffield, Newcastle, and so forth, outside of London — where real estate is extremely expensive. Real estate here has stayed flat, but if we adjust it in US dollar terms, real estate has gone down tremendously to us foreign investors outside of the UK. The British Pound has been a negative force. Its downtrend has been a negative force for the locals, but creating quite a lot of opportunity for foreign investors. Finally, looking at the Japanese yen, this is one of the weaker developed-market currencies, which has been heavily… let’s say, “devalued,” by the Bank of Japan, which is basically printing this currency until there is no end. The Bank of Japan continues to purchase incredible amount of junk, I think, on its balance sheet, including owning a large amount of its local stock market, and bond market, and even I think foreign stocks and bonds, and so forth. A very strange phenomenon that’s happening in the world today. This has been actually pressuring the yen, which is kind of trending downwards. The yen is still holding around 120. The resistance of 120 hasn’t been properly breached, and it remains to be seen where the USD Yen can finally start trading in an area above 120, to 125, which historically has been an important level. Keeping an eye out on the euro, the pound, and the yen is a very smart thing when judging the current US dollar bull market. Jordan: Now, Tiho, as you know, Asia, ex-Japan continues to be the growth engine of the world. How are the other currencies in the region performing? Tiho Brkan: Well, I have created an Asian currencies index, which I think if the listeners of this podcast go to the YouTube channel, and watch the visual of this interview, they’ll really enjoy it. The Asian currencies index is a great barometer of risk, first of all. Whether it was the Asian financial crisis of 1998, or the dotcom bust in 2001, 2002, and including the global financial crisis of 2008, as well as the recent emerging markets slow down, and the commodity bust of 2015 spilling into 2016 — emerging Asia, in particular all Asian currencies, including Japanese yen, once they’re all put together into a basket, and index is created as I’ve done here, seem to be very sensitive to global risk. It becomes a great barometer for judging how the overall global economy is moving, and which direction it’s moving in. As we can clearly see, the peak in global economy, according to this index, anyway, was in 2011, which is also very similar to when the US dollar troughed, when the commodity demand peaked, and also when a lot of the foreign assets, whether it’s the emerging market stocks, or the foreign market stocks from the developed world started to struggle. At the moment, we’ve crashed over the last couple of years in this index, and a lot of the currencies have been devalued. We’ve stabilized for the time being, but we are triangulating in a fashion, we’re colliding into a fashion where there’s going to be a massive decision point coming soon, whether we’re going to have a bullish or a bearish breakout. This is one currency index that I continue to track closely, Jordan. Jordan: Now, moving along Tiho, what have been the main drivers of currency movements over the last few years? Tiho Brkan: Yeah, the main drivers, in my opinion, tends to be the difference in interest rates, and also future expectations of the interest rate movements. If we look at, for example, the United States dollar over the last decade, what we’ve seen is that the US dollar rallied when the world got into trouble during 2008, during the global financial crisis. At that point in time, there was a lot of easing around the world, and there was a flight to safety, and US dollar — it tends to be a safety reserve currency of the world. 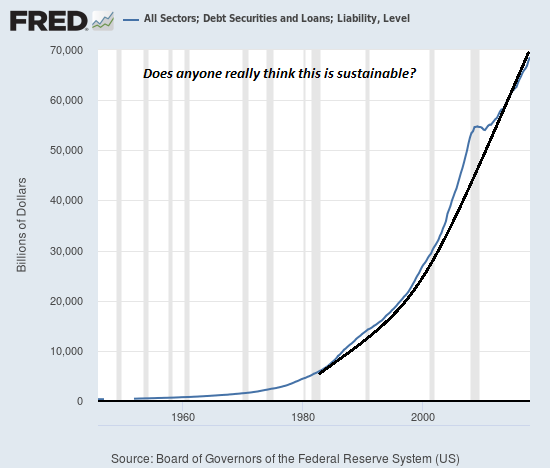 Eventually, the Fed came out with a very strong stimulus package, and while everybody cut their rates down, United States was one of the first countries to enter a QE program, and start purchasing its own bonds by monetizing its own deficits, which I think is quite an illegal thing to do, dating back to the many years of when the Fed was created. Nonetheless, this was an extreme measure needed during a time of chaos and a crisis. This weakened the dollar because it put interest rate differential between let’s say the foreign world outside of the US, and the US itself at a disadvantage. The dollar became weak. Eventually, European countries like PIGS got into a crisis, and the US dollar once again became a flight to safety currency around 2010 and into 2011. This was once again followed by the Fed weakening the dollar, and during more stimulus, in the form of QE2, and dollar weakened once again. Eventually, the United States, by doing so much QE, actually bought itself some time, and re-stimulated the economy. At the same time, eurozone and other emerging markets were slowing down, due to what was I guess, a structural shift from US underperforming, to the US outperforming for a while, and after a prolonged period of time, the European Central Bank decided it was time to start easing as well, due to this economic slow down, and the eurozone recession of 2011 and ’12. Once there was a large divergence between the Federal Reserve, which now stopped the QE, and started to hike rates, and at the same time, the European Central Bank, going into the QE, which the Fed did way back in 2008, ’09, ’10, and ’11, there was a large divergence between interest rate policy, and monetary policy shift between the two major central banks — which made the American dollar rally very hard, and the European euro crash. Clearly, we can see that whether it’s crisis that will affect the future interest rate movements, or whether it’s the monetary policy of bond buying, or tapering of those bonds, or even as the Fed is now doing — reducing the balance sheet of those bonds — it’s impacting the movement between the currencies, which I guess, are relative in their trade to each other, Jordan. Jordan: Tiho, I know you love to follow sentiment. Can you tell us how the currency market is currently positioned, and what do traders expect? Tiho Brkan: Sure. Well, we just discussed the difference in interest rates, and what traders do, is they front run this news. When the Fed gave us a signal just recently that they’re going to start tapering their balance sheet by selling bonds, and at the same time, they wanted to do more hikes than expected, the US dollar reversed course, at least for the time being. This interestingly enough, came just as the majority of the hedge funds and other speculators became quite extreme on the short side. I think it’s always worthy to follow sentiment, because usually when the US dollar rallies for a while, everybody piles into the one side. As I always say, when everyone’s on one side of the boat, it’s not necessarily better to be on the other side, but it doesn’t pay to be following a trend, once it’s already played out, and there’s extreme positioning there. I think the US dollar had one of the worst sell-offs year to date, going back through its history, and it was interesting to see how many players came to the short side. As our readers might recall on the Twitter account — and our listeners might decide to follow our Twitter account by going to @TihoBrkan on Twitter — they would notice that we called recent bottoming the dollar in the real-time, during the Fed meeting. That was a smart opportunity to trade a dollar on a long side. Here we stand in critical juncture, Jordan, where I’m wondering whether the current rally in the US dollar is going to be as we say, a lower high, and a bear market rally or a downtrend that already started… or whether this will be a continuation of a bull market that’s been in progress since 2011. The recent break of support below, I think, of 92 on the US dollar index, seems to have been a bear trap for now, and we quickly reversed above that. We are not 100% sure, because it all depends on future interest rate policies of many central banks, and how the dollar is going to trade. Jordan: Tiho, you’ve covered so much in this episode on global currencies, and you gave a little bit of a final verdict there for a moment. I just want to give you the opportunity to discuss anything that we haven’t already covered, and then give your final verdict on global currency markets. Tiho Brkan: Sure. Well, as I’ve discussed before, the United States dollar has been in a bull market since May 2011. It remains to be seen whether December 2016 high was the final peak of this bull market, which has been going on for almost six years, or whether we have more to go. One interesting thing that I would like to mention, is that technically, the US dollar has previously has never made a lower low during its bull market. Whether it was the ’80s bull market, or the late ’90s bull market, the US dollar was always trending with higher highs, and higher lows, which is a common thing for an uptrend. Now, we actually have a lower low, so it remains to be seen whether that was a bear trap. Another point I would like to make in the final wording summary, is that the Fed chair is up for grabs in February 2018. I find it extremely hard to believe that Janet Yellen will stay on for another term. Furthermore, Donald Trump, the current president of the United States, has expressed many times over vocally, and verbally, his dislike for a strong dollar. I would assume that if he will be choosing the chairman, or appointing the chairman of the Federal Reserve in the coming term, it would most likely be somebody with weaker dollar policies. Somebody with soft dollar policies. Currently, the market is heavily short dollars, and we are going through a rally, a short squeeze rally, which might lead to further gains into the new year. It remains to be seen whether we will be making a higher high, or a lower high in this rally once the short squeeze runs its course. The dollar is a very important indicator for many of the global asset classes, including emerging markets, precious metals, commodities, foreign stocks, alternatives such as energy, and grains, and so forth. US dollar is a very important indicator to continue to monitor on a weekly or a monthly basis, to see whether we will still remain in a strong dollar environment, or whether the environment from 2011 to 2016 has now passed behind us, and we are entering a weak dollar period. Jordan: That concludes episode three of the Atlas Investor Podcast with Tiho Brkan. Tiho, thank you so much for that great overview and analysis of global currencies. I and the audience, I’m sure, really appreciate it, as we learned a lot. Now, Tiho, as far as episode four, tell us where you will be, and what you’ll be covering. Tiho Brkan: Well, I’m moving towards Central Europe, and I’ll be in Budapest next week. I’m going there to look at some real estate opportunities, and also to enjoy some goulash, and some local thermo-baths. Budapest is famous for their thermo-baths. In the global macro talk, we’ll be discussing bonds, credit, and all things interest rates, Jordan. Jordan: Okay, Tiho, that sounds very interesting. I’m really looking forward to that. Now, as we close, we want to thank you, the listener, for tuning into this podcast. If you have a moment, please visit iTunes, and leave a review of the podcast. We would really appreciate it. If you have a question for Tiho that you’d like us to answer on air, please email it to us at podcast at theatlasinvestor dot com. On behalf of Tiho Brkan, thanks again for listening to the Atlas Investor Podcast. We hope to have you back again, right here for episode four.